Hummus recipe. Sometimes you want to take a moment and think, how can the simplest things in life bring you joy and fulfillment. 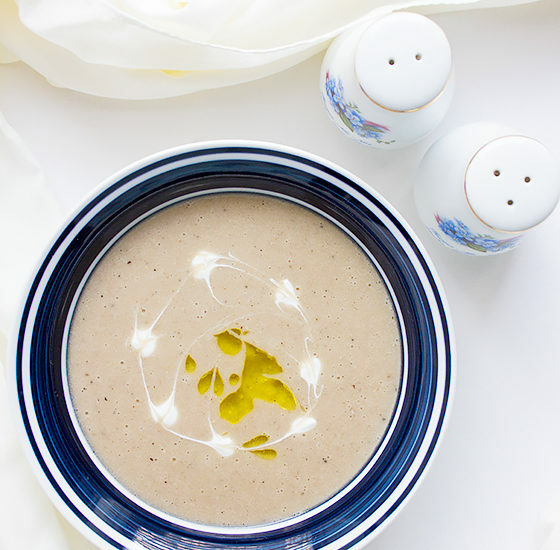 What I’m sharing today is a recipe for Hummus without Tahini that calls for the minimum ingredients and shortest time to make. 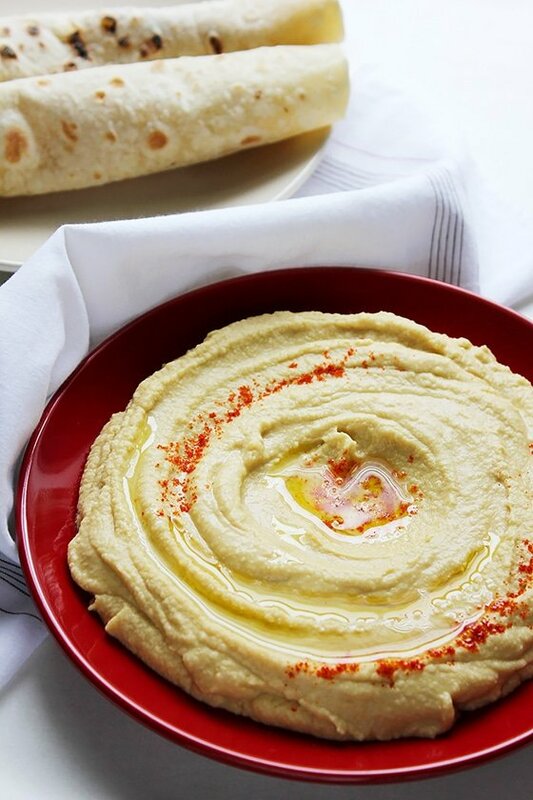 Hummus is a side dish, originated in the Middle East. Hummus is popular and usually served with grilled meat. A vegan dish that will make you realize how a simple legume like chickpeas converts into a mouth-watering delight. You can use hummus as a dip to your vegetables, believe me, you will enjoy your vegetables more, and since this hummus recipe is low in calories, you won’t be worrying if you get few more servings. In a previous post, I have shared a recipe for Hummus with Tahini, the texture was silky smooth, and it was a little nutty because of the Tahini (Sesame paste). I’ve realized though that there are some who are allergic to sesame or may not be able to find it where they live. 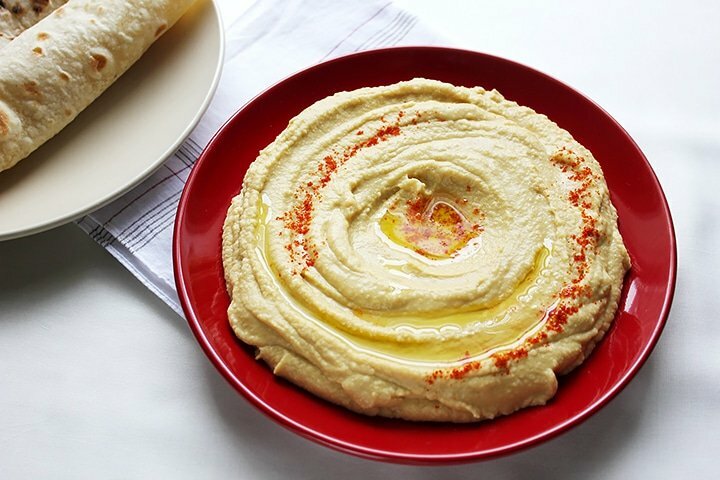 This Hummus without tahini recipe is made to satisfy everyone because you won’t even miss the tahini. You can use hummus as a spread to your Shawarma with slices of fresh onion and tomatoes; your sandwich will taste amazing for sure. if you want to go 100% Arabic style, then have hummus with fresh Arabic Pita Bread. I have two recipes for pita bread on my blog. One is Egyptian, the other is softer in texture and is made using milk. Follow me on Instagram, and if you happen to make any of my recipes, please post the picture and mention me in your post, or use #munatycooking. I would love to see your creation. Smooth and silky hummus but with tahini (sesame paste) the same authentic flavor that will impress your guest and your family. Quick to make and quick to disappear. In a blender, add all the ingredients and blend until smooth. Serve in a plate and drizzle with olive oil. 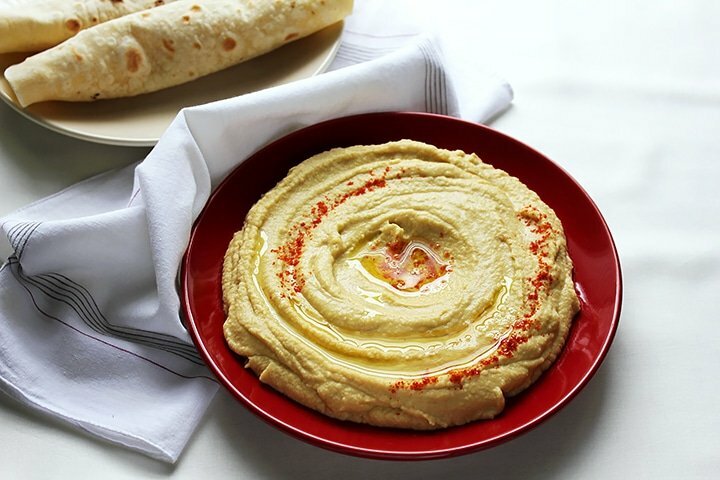 Tip: If you want to add some heat to your hummus, sprinkle some red chili powder when serving. One of my favourite dips! This sounds wonderful, and it looks gorgeous! I have never made hummus before. It is on my list to make because I do enjoy eating it. This recipe sounds wonderful. I will have to try it soon. 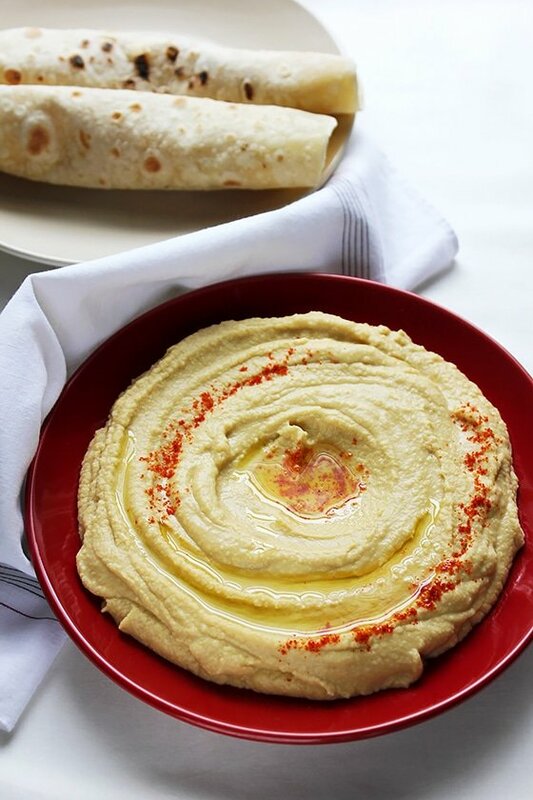 Looks and sounds amazing… nothing beats homemade hummus with or without tahini. I just want to dip some pita bread! YUMMM! This is such a yummy dip! I made a similar one by accident when I forgot to add the tahini haha. Delicious!! Can I use fresh chic peas? 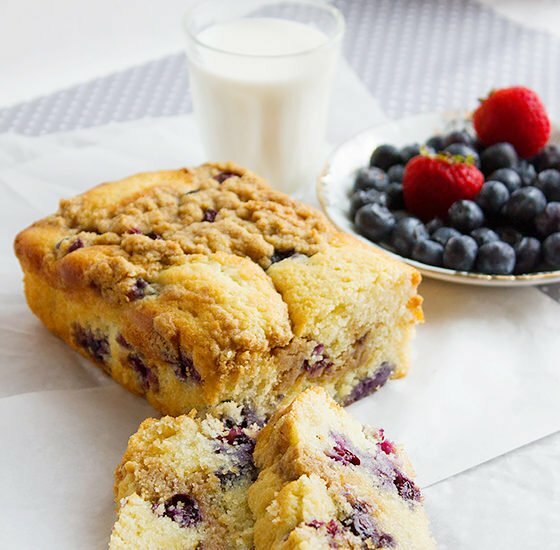 If using fresh, you have to soak it overnight, then boil it with pinch of baking soda and then use it in this recipe.